On 21 September, 2018 at the corner of Sherbrooke and Prince Albert, as part of Park(ing) Day, there will be a Penny Farthing bicycle on display to promote the idea of a bicycle path on Sherbrooke street. 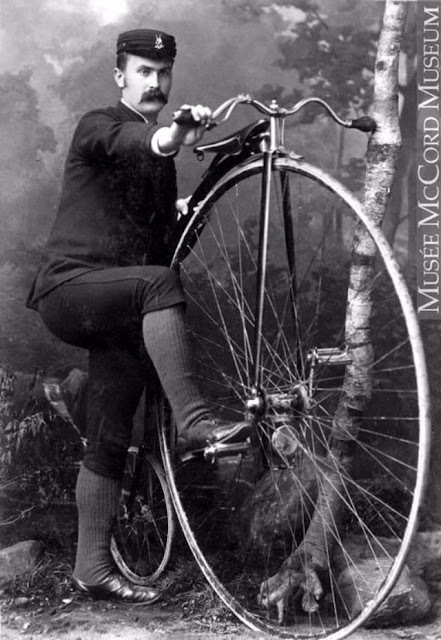 There is something about Penny Farthing bicycles. They are amongst the world's most recognized symbols, yet it is rare to see a Penny Farthing on a modern street despite the fact that people today ride every other conceivable variation of the bicycle . 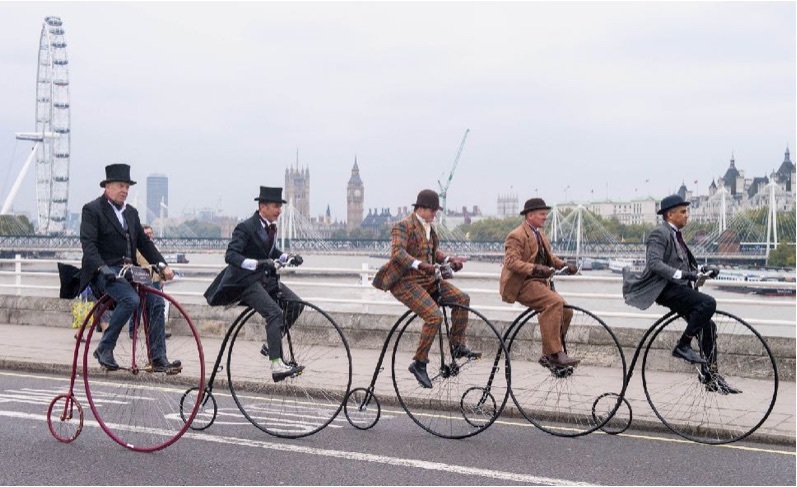 The Penny Farthing, in addition to being an iconic bicycle, is a symbol of the Victorian era. Using a Penny Farthing to promote a bicycle path on Sherbrooke street invokes the memory of an earlier time when there were no cars in Montreal. Then there was no need for separate bicycle paths. 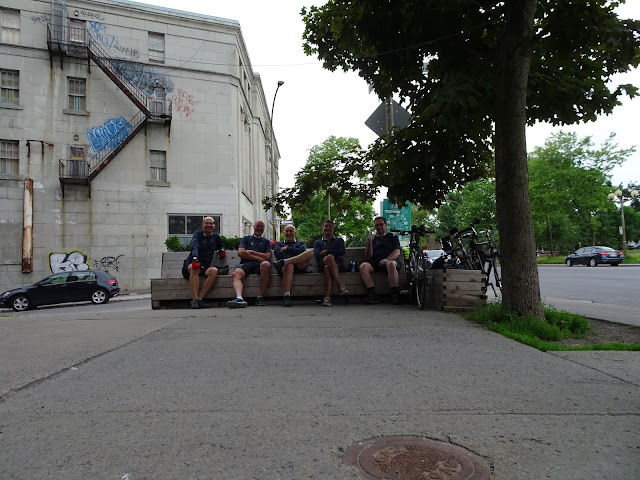 The car has now literally pushed the bicycle aside making it dangerous to cycle on the principal roads of Montreal. Hopefully, by having a network of protected bicycle paths, cyclists will again be able to travel anywhere in Montreal as easily these early cyclists. 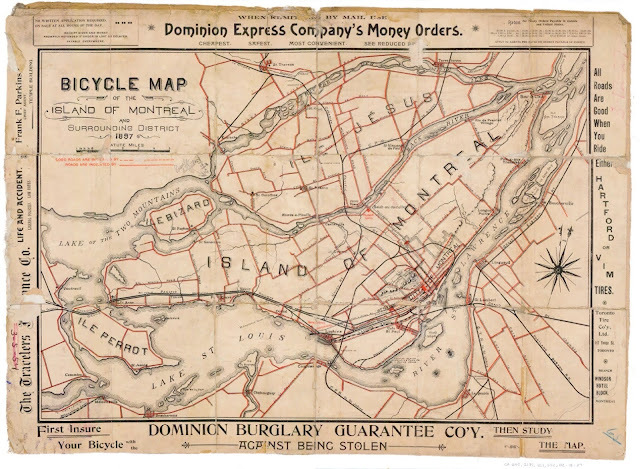 Perhaps the symbol of the Montreal Bicycle Club, a winged wheel, was inspired from the feeling of flight on a High Wheel Bicycle.